In the late 1960’s, a tobacco company executive circulated a memo among his colleagues. He was attempting to counter the large and growing body of research that demonstrated that smoking caused lung cancer and other serious illnesses. The memo is startling for its insight. Simply put, tobacco companies did not have to refute the scientific evidence about smoking and cancer; merely creating doubt in the mind of the American consumer was all that was necessary to maintain or increase demand for cigarettes. Homebirth advocates have taken a page out of the tobacco playbook. They don’t have to refute the large and growing body of scientific evidence that homebirth increases the risk of perinatal death; merely creating doubt about the evidence, as well as doubt about motives of obstetricians and hospitals is all that is necessary to maintain or increase the demand for homebirth. They can always get it published somewhere. And if they can’t, they can just start their own peer-reviewed journal, one likely to have an exceedingly low scientific impact but a potentially profound effect on the regulatory process. 1. Never mention the large and growing number of studies that demonstrate that homebirth increases (often spectacularly) the risk of perinatal death. 2. Never mention state or national statistics that also show that homebirth increases the risk of perinatal death. If someone else mentions them, declare that it hasn’t been published in a peer review journal; don’t tell anyone that government collected statistics don’t have to be published in a peer review journal since they are raw data. 3. Criticize one or two bad studies and imply that they are representative of the entire scientific literature. The go to studies for homebirth advocates are Pang and Wax. Don’t mention that the rest of the scientific literature shows the same thing. 4. Start your own journal to publish the “studies” that reputable journals refuse to publish. It is a little known fact that Birth: Issues in Perinatal Care, is owned by Lamaze. 5. Hide internal data that shows that homebirth increases the risk of death. One day, an enterprising state attorney-general is going to subpoena the safety data on 24,000 homebirths gathered by the Midwives Alliance of North America (MANA). The we will have confirmation that MANA executives like Melissa Cheyney have known all along that homebirth increases the risk of neonatal death. 6. Point out that obstetricians have been wrong in the past, even though that has no bearing on whether they are wrong about this issue. 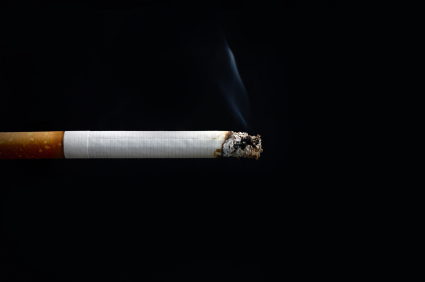 Tobacco executives wanted only to cast doubt on the link between smoking and lung cancer. Homebirth advocates, on the other hand, want to cast doubt on the entire field of obstetrics. Prof. of Marking Craig Thompson detailed their methods and goals back in 2005 in a paper about their primary tactic, inculcating reflexive doubt. … Advocates of natural childbirth seek to inculcate reflexive doubt by countering two commonsense objections to their unorthodox construction of risk: (1) medicalized births would have never gained a cultural foothold if they were so risk laden and (2) the medical profession would not support obstetric practices that place laboring women at risk. Homebirth advocates recognize that they don’t have to prove that homebirth is safe, and they couldn’t do that if they tried. All they have to do it sow doubt about the existing scientific evidence that homebirth increases the risk of perinatal death. And why not? If it’s good enough for tobacco executives in promoting their product, it’s good enough for homebirth advocates in promoting theirs. ← How does your midwife really feel?